EEvery four years, the IFES World Assembly brings together students, faculty, staff and board members of the Fellowship of Evangelical Students from around the world, to host an international conference. In 2019 this conference will be held in Durban, South Africa. At the conference, attendees will share their praise of worship with one another, and use the IFES World Assembly as a platform to celebrate their faith. The Wireless World Research Forum (WWRF) is hosting its 40th forum meeting this year on the topic of “5G and Broadband connectivity for All,” in collaboration with the Council for Scientific and Industrial Research (CSIR) - one of Africa’s leading research institutes. The forum will bring together industry representatives from around the world to discuss how recent insights will affect network implementation, services, applications and value chain in emerging economy markets. 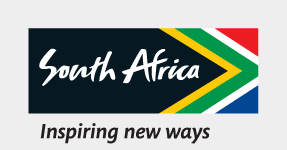 The 70th Annual Meeting of the International Society of Electrochemistry will be held at the ICC in Durban, South Africa, from 4 – 9 August 2019. The scientific scope will include, among a vast number of other topics, analytical electrochemistry, batteries, fuel cells and biofuel cells, and theoretical and computational electrochemistry. The organising committee includes Kenneth Ozoemena, Pretoria, (Chair), as well as co-chairs Janice Limson and Mkhulu Mathe of Grahamstown and Pretoria, South Africa, respectively. The World Conference on Drowning Prevention is an important gathering of the foremost global experts in the field of drowning prevention, to connect research, systems and information on drowning prevention, rescue, lifesaving and water safety for exchange, debate and further development.